I captured this White-lined Sphinx Hummingbird Moth enjoying a Thistle flower a while back. 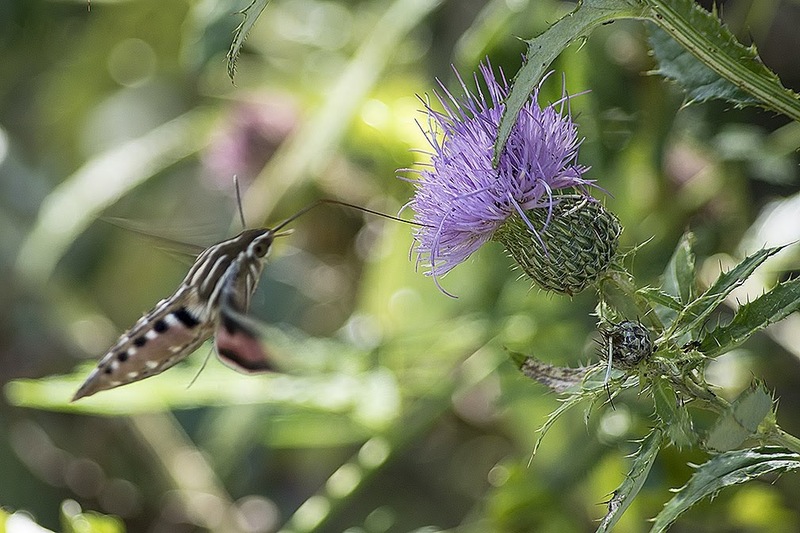 They are also known as just a Hummingbird Moth. They are pretty elusive and I don't see them often so it was great to be able to get a photo of one. I found out something interesting about Hummingbird moths, their caterpillar stage are Hornworms. One variety is the Tobacco Hornworm that destroys tomato plants if left alone.